This is a 2019 Grady-White Freedom 235 Dual Console, powered with a Yamaha F300 CLP Digital Motor.  Options include Coastal Fog Blue Gel Coat Colored Hull Sides, Hardtop with 4 Leg Rod Holders, Ivory Hardtop Front and Side Curtains, Ivory Drop Wall Curtain, Ivory Bow Well Cover, Deluxe Helm Chair #2 (STBD), Deluxe Companion Seat with Electric Lounge Cushion, Bow Fiberglass Table, Marine Head w/ Electric Flush and Holding Tank, Anchor Windlass with Bow Roller, Raw Water Livewell (Blue), Raw Water Wash Down, Ski Pylon and More! This Dual Console boat is in-stock and available for showings today. We Are Open 7 Days A Week For Your Convenience, So Call Or Stop By For A Quote.